We designed Z-axis lifter to support our arc voltage torch height controllers to secure better control accuracy; even most OEM manufacturers make lifter on their own. HYD’s THC requests lifter motor Up/Down voltage below 2V to secure high control accuracy of THC. 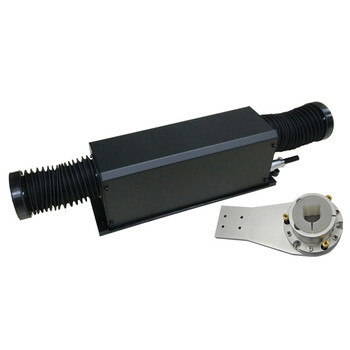 Our lifter adopts Ball screw design and DC 24V motor with start voltage 1.2V, capable for lifting 40kg weight. Motor: DC24V, 30W, 3000RPM, Gear ratio: 6:1.